What is everyone working on? Hey all! I can't wait for passes to go on sale any longer. 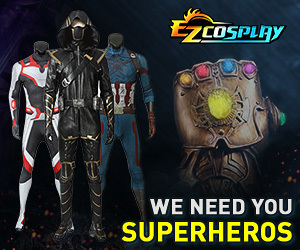 What is everyone planning on cosplaying this year at NYCC? I should be there on Saturday and Sunday! May bring back Rocket if I have a way of transporting him. Entering Ratchet and Clank into the Cosplay contest. Also planning on doing a Young Justice group as Tigress, and a Hercules group as Meg! Heeeeey! Didn't know you had a coscom account. I swear I'm not stalking you. Let me know about groups- Id love to do one with you and your awesome.